The University of Aberdeen has revoked an honorary degree given to the Sultan of Brunei Hassanal Bolkiah in an “unprecedented” move. 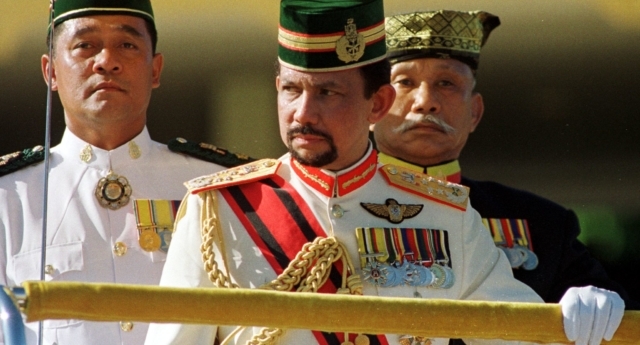 The university confirmed the step had been taken to revoke the honorary degree after Sultan Hassanal Bolkiah imposed a new penal code in Brunei that introduces the death penalty for homosexuality. In a letter to students and staff seen by PinkNews on Wednesday (April 17), University of Aberdeen Principal George Boyne said: “The honorary degree has been revoked following a vote by Senate, our academic body, which approved a recommendation from our Honorary Degrees Committee. “Our internal process also included an opportunity for the Sultan to respond to the recommendation. The response from the Sultan was considered by the Senate and the Honorary Degrees Committee. Boyne added: “The University of Aberdeen is proud of our foundational purpose of being open to all and dedicated to the pursuit of truth in the service of others. Other UK universities have also faced pressure to rescind honours lavished upon the Sultan of Brunei, who is an unelected dictator. King’s College London and the University of Oxford have both also said they will review honorary degrees given to the Commonwealth country’s leader. “We will reconsider this decision through our established process in light of the information now available, as other British Universities are doing,” reads the statement from the University of Oxford. King’s College London said: “King’s is very proud of our diverse community. We take very seriously the concerns raised by our community regarding the honorary degree held by the Sultan of Brunei which was awarded in 2011.